The Justice Department has issued a stinging rebuke to the FBI for its handling of the Hillary Clinton email investigation, calling former FBI Director James Comey "insubordinate" and his actions "extraordinary." Sarah Wallace reports. In a stinging rebuke, the Justice Department watchdog declared Thursday that former FBI Director James Comey was "insubordinate" in his handling of the Hillary Clinton email investigation in the explosive final months of the 2016 presidential campaign. But it also found there was no evidence that Comey's or the department's final conclusions were motivated by political bias toward either candidate. President Donald Trump and his supporters had looked to the much-anticipated report to provide a fresh line of attack against Comey and the FBI as Trump claims that a politically tainted bureau tried to undermine his campaign and — through the later Russia investigation — his presidency. Read the report here. The Justice Department’s inspector general released a report on Thursday addressing the FBI’s handling of the investigation into Hillary Clinton’s use of a private email server. It found FBI Director James Comey was “insubordinate” but wasn’t motivated by politics. The report also underscores efforts by senior FBI and Justice Department leaders in the final stages of the presidential race to juggle developments in the Clinton investigation - she had used private email for government business while secretary of state - with a separate probe into potential coordination between the Trump campaign and Russia. The Russia investigation, though diverting bureau resources and attention away from the final stages of the Clinton probe, was unknown at the time to the American public. Comey, whom Trump fired shortly after taking office, bore the brunt of the report's criticism. It says the FBI director, who announced in July 2016 that Clinton had been "extremely careless" with classified material but would not be charged with any crime, repeatedly departed from normal Justice Department protocol. Yet it does not second-guess his conclusion that Clinton should not have been prosecuted — despite assertions by Trump and his supporters that anyone less politically connected would have been charged. It also disputed the Trump talking point that the FBI favored Clinton over him, saying, "We found no evidence that the conclusions by the prosecutors were affected by bias or other improper considerations; rather, we determined that they were based on the prosecutors' assessment of the facts, the law and past department practice." 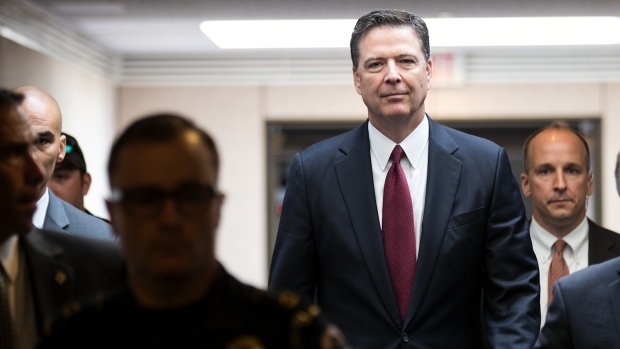 The inspector general faulted Comey for his unusual July 5, 2016, news conference at which he disclosed his recommendation against bringing charges, even though cases that end without prosecution are rarely discussed publicly. Comey did not reveal to Attorney General Loretta Lynch his plans to make such an announcement. 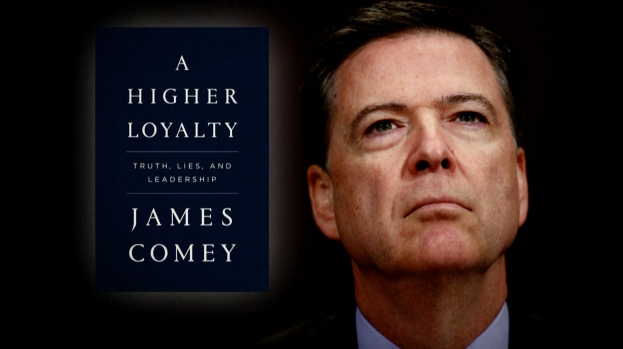 A new book by former FBI Director James Comey details several controversial moments of Donald Trump's fledgling presidency from Comey's perspective, including the Steele dossier, his opinions on Trump's character and the Hillary Clinton email investigation. The report faulted the FBI for failing to act with more urgency in reviewing emails from Weiner's laptop, saying the inaction had "potentially far-reaching consequences." Clinton supporters say her name could have been cleared well before the election had the FBI moved faster to review the emails. 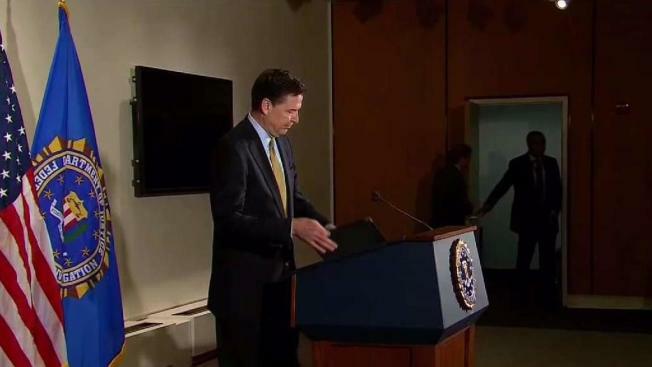 And Comey said had he known earlier about the laptop's import, it might have affected his decision to notify Congress. The Weiner laptop was discovered as the FBI was upgrading the nascent Russia investigation. Though there's no evidence the device was put on the back-burner to protect Clinton, the watchdog said it could not be certain that Strzok's decision to prioritize the Russia probe over examining the Weiner laptop was "free from bias," especially because Strzok was exchanging anti-Trump text messages during that same period.